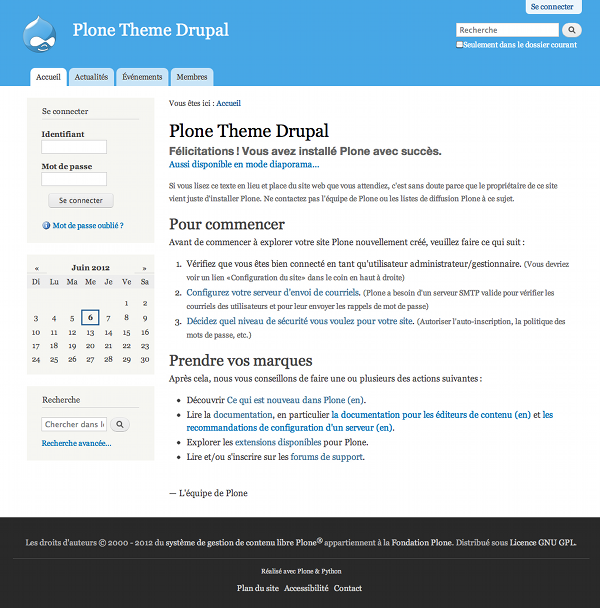 plonetheme.drupal is an installable Plone Theme using plone.app.theming, based on the default Sunburst Plone theme. To be installed before any demonstration to an audience of Drupal followers ;) ! Install the theme from the Add-ons control panel. That's it!